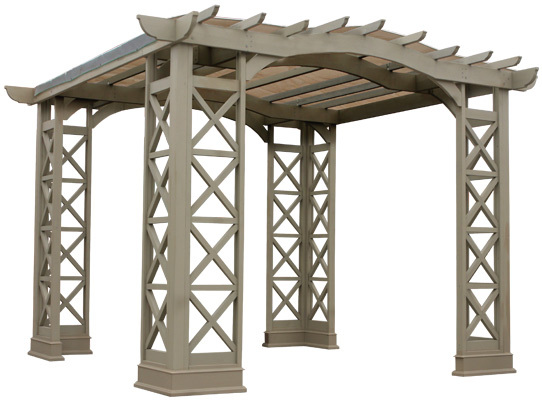 Extend your outdoor living space with the Preston Pergola with Snap-On Sunshade by Yardistry and create a centerpiece for your space that balances classic and contemporary elegance. 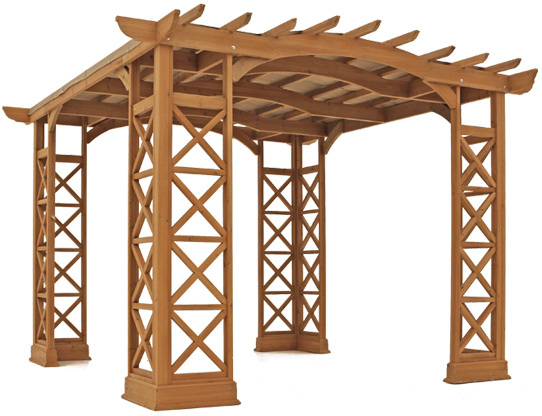 Modern features like X designed corner panels and arched roof beams are balanced with classic elements such as traditionally crafted plinths at the base of each corner. Together these features create a style unique to Yardistry. 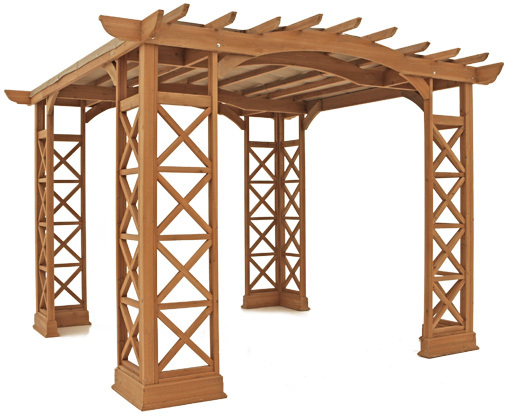 The Preston Pergola with Snap-On Sunshade can accommodate most outdoor dining rooms, furniture sets and hot tubs creating the perfect space to entertain family and friends or for that private oasis where you can get away from it all. 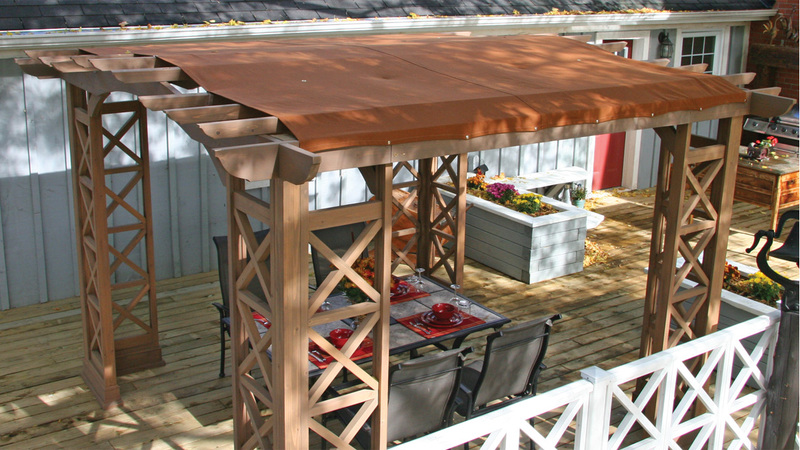 The Snap-on Sunshade increases the length of time you can relax and enjoy your outdoor oasis. 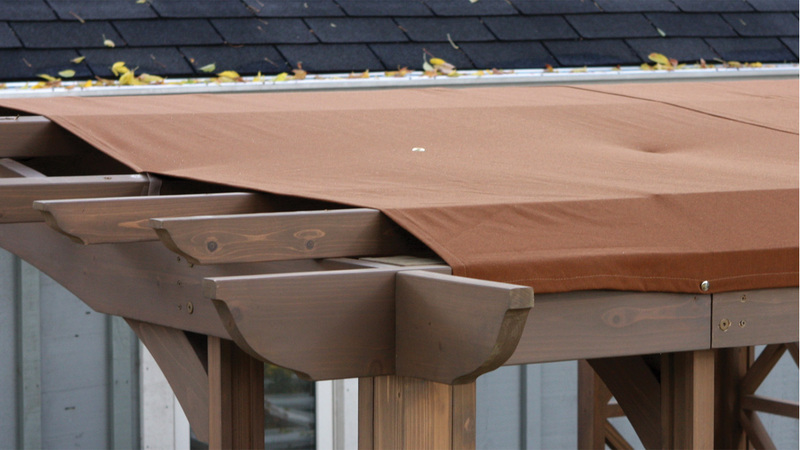 Made from water resistant Sunbrella performance fabric, the shade offers superior protection from the sun. 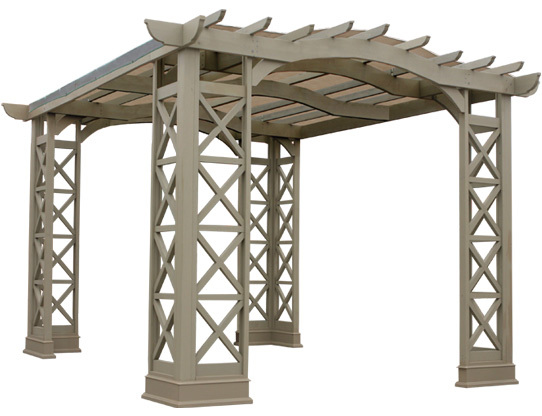 The Preston Pergola with Snap-On Sunshade is assembled with little more than a drill and includes all necessary hardware. Our illustrated step-by-step instructions will guide you every step of the way and ensure that assembly is quick and easy. The packaging will vary based on which Design Option you purchase. Overall Dimensions (L x W X H): 12ft. x 12ft. x 8ft. 2in. 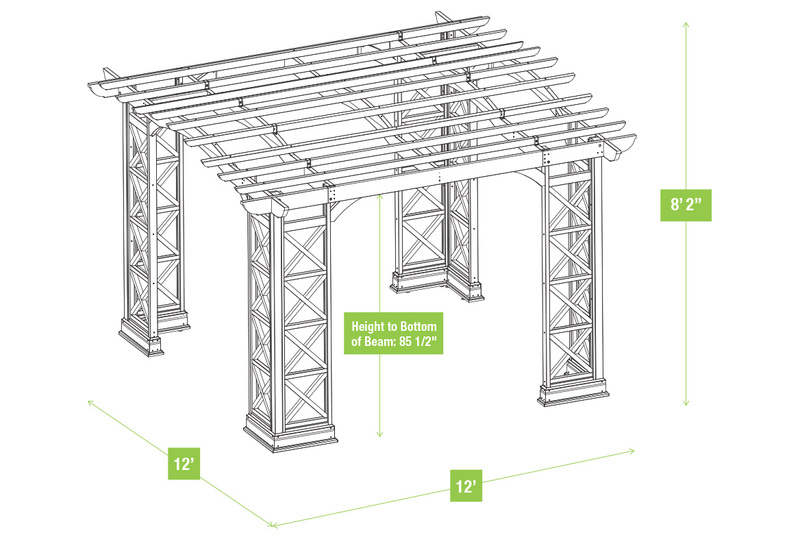 Base Dimensions (L x W): 10ft. x 10ft. Overall Dimensions (L x W X H): 12ft. x 14ft. x 8ft. 2in. Base Dimensions (L x W): 10ft. x 12ft. Prior to the installation, there are a few things you can do to help make your assembly process easier. Plan where your Yardistry Product will go and prepare your yard. Review the Helpful Hints Video that Yardistry has created. The helpful hints video has been created to show you some tips and tricks that we’ve learned along the way to help with the more challenging and critical installation steps. Complete your inventory. 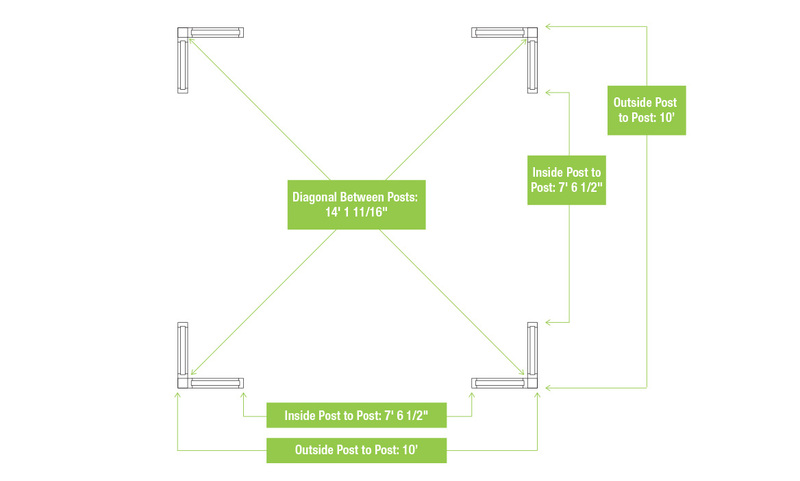 To minimize installation time, complete your inventory prior to assembly. Use the stamped codes and parts ID pages in your instruction manual to organize and sort the parts. A half hour now can save a lot of time throughout the installation! If you are planning on using an installer to build your Yardistry product, doing an inventory before they arrive will help eliminate any delays! If you find that you need anything be sure to contact our Customer Experience Team or complete a parts replacement form. If you have any questions along the way, reach out to our Customer Experience Team! They are here to help. Yardistry warrants that this product is free from defect in material and workmanship for a period of one (1) year from the original date of purchase. 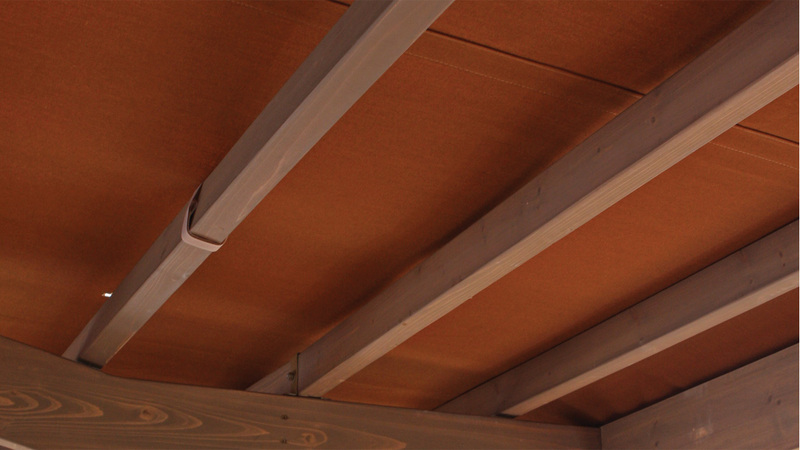 In addition, for any product with lumber, all lumber is warranted for five (5) years against rot and decay. This warranty applied to the original owner and registrant and is non-transferable. Please contact our Customer Experience Team directly if you have questions about the product, warranty, or need replacement parts. 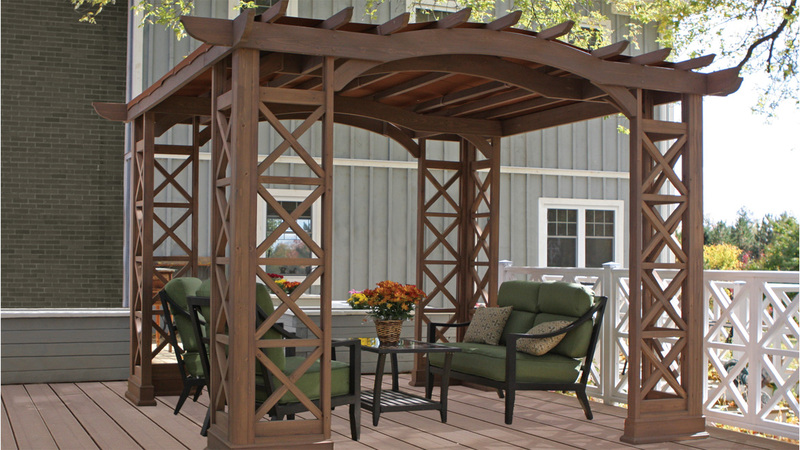 Yardistry products are an easy and elegant way to create a sense of place. A space ideally suited for a gathering of friends or family, to enjoy a meal, catch-up or just relax.